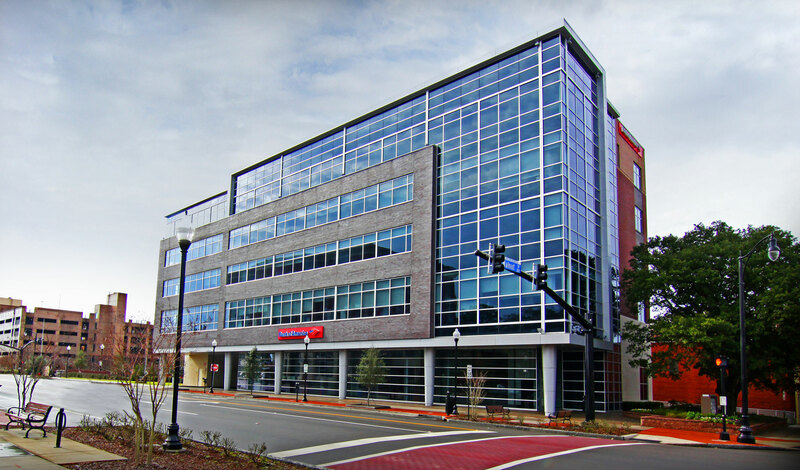 Apiture, a new digital banking technology company, has a signed a lease for over 12,000 SF for the entire fifth (5th) floor of the Bank of America building located at 319 N. Third Street in downtown Wilmington. Apiture, the newly formed joint venture between Wilmington-based Live Oak Bancshares (NASDAQ: LOB) and First Data (NYSE: FDC), combines First Data’s and Live Oak Bank’s digital banking platforms, products and services with the aim to provide technology solutions tailored for financial institutions. “We are delighted to welcome Apiture as the newest tenant to the Bank of America building” stated Hill Rogers, broker in charge with Cameron Management, which handles the leasing and property management of 319 N. Third Street on behalf of the Landlord, Riverbend #1, LLC. “It has been extraordinary to watch the technology sector in Wilmington grow from its infancy stages to what it is now. In large part, this Wilmington-based tech scene started when Live Oak Bank was created in 2007. Our company has been fortunate to witness and participate firsthand in the growth and development of Live Oak Bank, nCino and now Apiture.